For home improvement in Birmingham, what you need is Pinnacle Home Improvements. Whether you’re looking for new doors and windows, a new roof, porch or driveway, or a whole new conservatory, it is our goal to provide you with the absolute best service at a price you can afford. Our team of home improvement experts have many years of experience renovating and transforming people’s houses, not only updating and enhancing their properties aesthetically, but also adding value. Pinnacle is a family business with a long-standing reputation for quality and excellence. We also pride ourselves on providing a breathtaking selection of the best quality windows and doors, as well as an amazing range of conservatories. The reason a great many people are choosing to have a conservatory built these days is because there is no better way to extend your property whilst simultaneously adding a great deal of value. As well as transforming your home and giving you a new living space that the whole family will love, a conservatory is actually an investment of the most top order. Pinnacle Home Improvements are able to build you a conservatory that complements the individual character of your home perfectly, whether you own a super-modern building or an older, period property that has a particular character. We know that your home is every bit as individual as you are, which is why we strive to bring you a service that is specifically created to cater to your own particular needs. 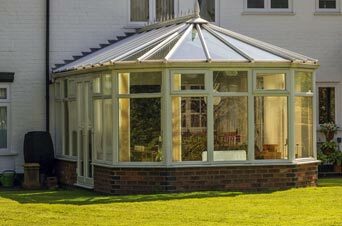 It is our mission to make sure you get to choose the conservatory that fits with your existing home, maintaining its current style and feel. We know that you want to have more space and add value to your home, without changing the style of your overall property. 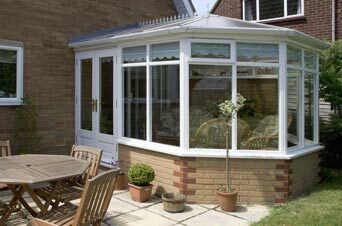 With Pinnacle, your conservatory won’t clash with your home but rather, will seem like it was always there. Whichever particular style you feel best reflects your and your property’s personality, our dedicated team of home improvement experts can give you the right guidance and impartial advice to make sure you find exactly the right conservatory for your property. We also offer the finest surveying and installation services in the Midlands. As with our windows, doors, roofs, porches and driveways, Pinnacle Home Improvements’ conservatories are designed and created to the highest possible standards of energy efficiency, which means you can have total peace of mind that your new room will remain warm in the winter, cool in the summer, and well-protected and welcoming all year round. Give us a call today to discuss your requirements in detail.